What is The Food Garden? The Food Garden was founded in August 2010 in order to supply the Food Bank Rotterdam (an organisation that delivers free food packages to low-income households) with fresh and healthy vegetables and fruits. This goal has been achieved and the Food Garden already produces large amounts of vegetables for several years, that are put into the food packages distributed by the Food Bank. The Food Garden champions a healthy city. We support a sustainable urban society, with healthy food for everybody. Without poverty and social exclusion. With people who actively shape their personal lives and take responsibility for each other and their environment. 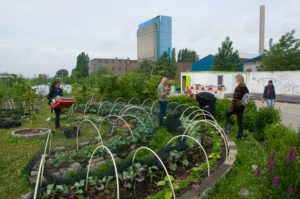 Everything is home grown and cultivated by around 45 volunteers, using a vacant lot in the Vierhaven area in Rotterdam. However, not only the vegetables experience growth, also the volunteers. Many of them indicate they feel healthier by working in the garden. It gives meaning to their existence. In doing that, we use the principles of permaculture, for both plants and people. The Food Garden is not a normal garden, it’s a garden where the cooperation between people and nature is central. The Food Garden is designed in such a way that it’s both ecological sustainable and economically viable. Complex natural ecosystems function as an example. The objective is to develop a garden that can sustain itself. No fertilizer and chemical pesticides are used, and there is enough space for different crops and species to grow simultaneously. The possibilities the environment has to offer are being used optimally, which improves local biodiversity (e.g. bird life, insects, soil conditions, small mammals). This ‘happy’ ecosystem results in maximum yield for the people. 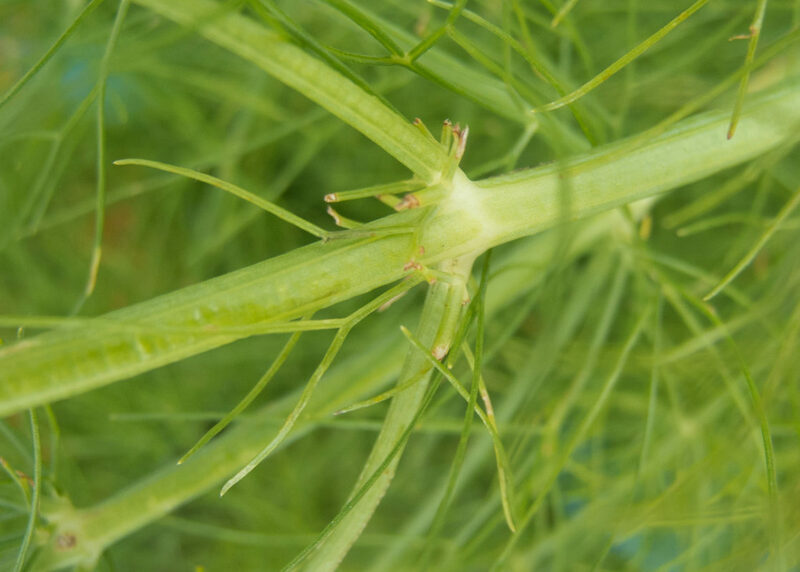 The harvest not only consists of vegetables and fruit, but also (medicinal) herbs. What more is The Food Garden? Meanwhile The Food Garden has shown to be more than a social initiative where active and vulnerable citizens contribute to the production of sustainable and seasonal vegetables. The Food Garden is also an area-oriented and participatory design facility to give rise to a vital place. Together with users and other stakeholders an area plan has been developed, in which the design of The Food Garden was the central theme. Although The Food Garden was faced with many social, ecological, political and spatial challenges, in the end it turned out to be a remarkable project. On the one hand because it is one of the few social projects where people distant to the labour market are able to produce food for low-income households. What makes The Food Garden a special project on the other hand, is that it is one of the few inclusive and sustainable projects in an area that is being built on water. 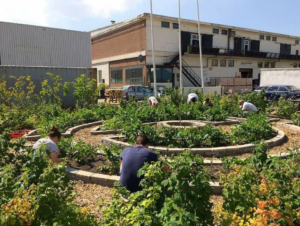 The Food Garden is located on a vacant lot in a harbour area and is an active player in developing the area into an ‘urban platform where harbour & the city and knowledge & experience meet’ (M4H). The Food Garden believes it has the quality to connect aforementioned perspectives in a practical, inclusive and sustainable way. That is why we work on social (focused on current issues) and urban development (focused more on near and long term issues). The future that we foresee entails an inclusive and sustainable city, because we believe it takes both aspects to truly become one. In achieving this, The Food Garden is our main instrument, with our volunteers as most important actors. We get inspired by concepts like Slow Medicine, Social Metabolism and ‘The Next Economy’. This means public value is not solely or mostly determined by economic value. The social value (living together, responsibility for each other), the individual value (meaning), cultural value (identity, diversity) and ecological value are just as important. The Food Garden thereby performs multiple functions: it’s a production garden, a learning and practice garden, a sustainable urban garden and an experimental garden, in which one can experiment with new forms of welfare.